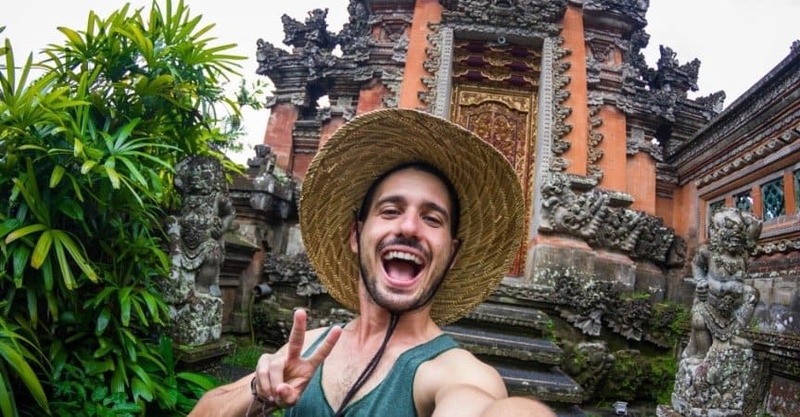 What platforms do you use to promote your dropshipping store? Facebook, Instagram, Pinterest, Twitter? Yep, everyone does use them! What’s about Reddit? Do you advertise your online store on Reddit? If not, you should give it a try. And from this article, you’re going to find out how you can pull it off. These are the best words to describe what Reddit looks like. Its huge community exceeds 300 million people. Reddit users get together in different groups, called subreddits, depending on their interests. There, they share news and discuss various related topics. When you’ve signed in, you initially subscribe to some common subreddits such as Technology, News, Science, etc. Then, you can easily narrow down your focus and find passionate communities on almost any topic. 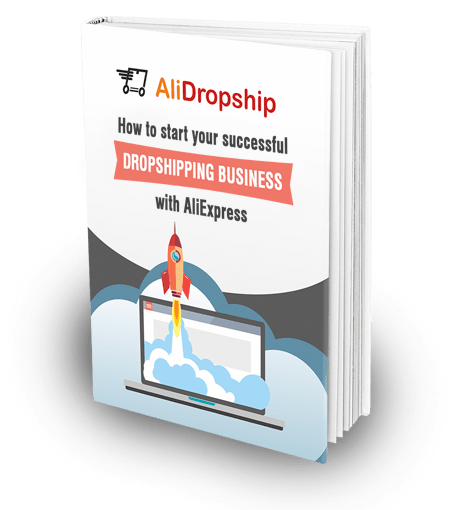 At first glance, it may seem to be a perfect place to advertise your dropshipping store. Indeed, you don’t need to dig deep looking for people interested in your niche. The users do this job for you by creating subreddits. However, it’s trickier than you think. The one thing its users have in common is their suspicion of marketers. Even such celebrities as Morgan Freeman and Woody Harrelson fell victim of it. Their movies’ promotional campaigns on Reddit went down in flames. On the other hand, some entrepreneurs successfully use this social platform to get advantages for their business. A shining example of such good experience is Elon Musk and his AMA (Ask Me Anything) . The point is, advertising your online store on Reddit requires the right approach. And to figure it out, the first thing we need is to understand how this social network works. These are the first questions crossing your mind when you see your Reddit front page for the first time. You stumble on a bit unfriendly interface and can’t make heads or tails of what people actually do there. These may put you off in the beginning. But, if you spend some time on Reddit, you’re going to find your feet and see the point. Reddit is a huge and dedicated community with its own culture and rules. Different content which goes viral on the Internet has its first appearance there. That’s why sometimes Reddit is called the front page of the Internet. The website is based on anonymity. Its users usually don’t reveal their real names and any private data. At the same time, the community doesn’t let them misuse this. On the platform, you’re in plain view. Every Reddit user is considered from the level of value they’ve brought in the community. To measure this level, each Redditor has so-called karma so that everyone can see how trustworthy and useful they are. There are two types of karma displayed on your Reddit profile. Link karma and comment karma. The first one is for the posts you’ve submitted, the second – for the comments you’ve left. Every time you post or comment on something, Redditors decide if it’s relevant or valuable by voting it to go “up” or “down”. There are special arrows for this on the left of each post or comment. So, the more upvotes you get, the higher your contribution in the community (and therefore, karma) are. The similar story is with the posts you submit. The bigger is the submission’s score (“ups” minus “downs”), the higher position on the user’s front page it has. However, it won’t last long. Reddit wouldn’t be itself if the same content stayed on the top for a long time. It has its own special ranking algorithm. 12-hours old post should have a ten times bigger score than a new one to get a higher position on a user’s front page. So, each post stays there for about 24 hours on average. Now, you have a clue on how the website works by and large. It’s time to move on. How can you advertise your online store on Reddit? As you can see, the things that work on Facebook or Instagram won’t do the trick on Reddit. Any straight promotion could freak Redditors out and you’ll end up being banned. 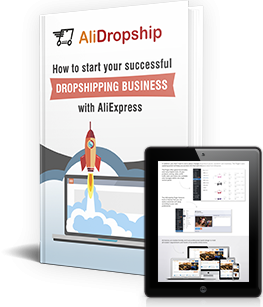 Well, what should you do to turn this platform into a source of traffic to your online store? You should put the community before everything else. That’s the main rule of Reddit. Show that you value the community and it’s going to respond in kind. You’ll become a part of it. For this, you need to gain decent credibility. Which, in turn, is going to reflect on your karma. Redditors will be able to look into your profile history and make sure you’re worth their trust. Before this, trying to promote your online store doesn’t make any sense. As we’ve mentioned, Reddit users can’t stand any explicit marketing. The remedy to build the necessary trust on Reddit is pretty simple. Start participating in community discussions. Yes, it takes some time. But, you need to learn about some specific things making Reddit different from other social networks. For instance, the community uses its own language. There are many words and abbreviations you need to get used to. When you start speaking with Redditors in their language, you can weigh in with your contribution to the discussions. Join subreddits and bring your piece of value there. Give detailed information on the issues, upvote other users, share some interesting stories, etc. Keep it in mind: your comments and posts should be relevant and useful. Otherwise, you’ll get plenty of downvotes and your karma will go down. When you’ve earned enough karma to be taken seriously by Reddit users, you can start working out your promotion. The first step is to find subreddits where your advertisement could look relevant. The main rule of Reddit is being useful for the community. So, you should choose subreddits where your store and products could bring some value. When you’ve found such subreddits, spend some time pinning down what their subscribers approve of and what they can’t stand. 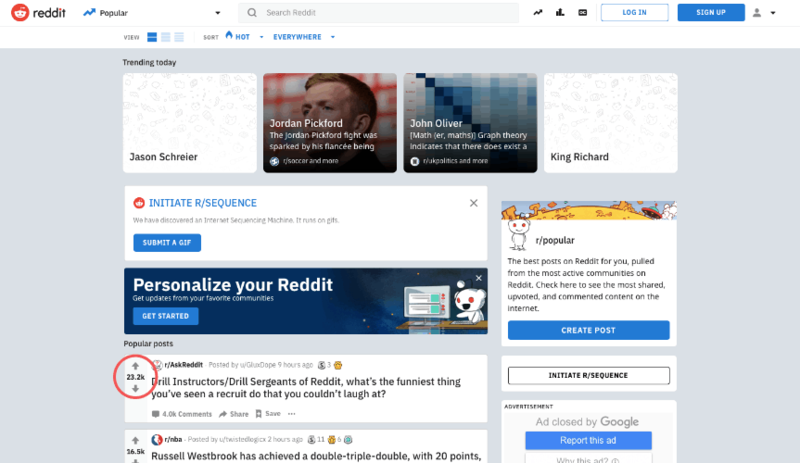 You’re not the only one person who wants to turn Redditors into their clients. Many entrepreneurs consider Reddit as a source of traffic for their online business. And some of them have achieved great results. They’ve managed to create the content that works. You should put into practice tried-and-tested ways to get along with Redditors. It doesn’t mean that you need to copy and paste the other users’ posts. But, you should build your content around the successful experience of the others – improve and refine it. When you know where all the bodies are buried, it’s time to act. Time to start advertising your store on Reddit. You’ve got two options to public your content there. The first one is to submit a link leading to a website. The second is to create a text post. Make your imagination work and you’ll get the most passionate and engaged customers. Of course, Reddit, like any other big social network, provides you with the opportunity to advertise your business for money. It allows you to create a post that is going to be pinned at the top of a subreddit’s front page. Thus, every subscriber can see it. 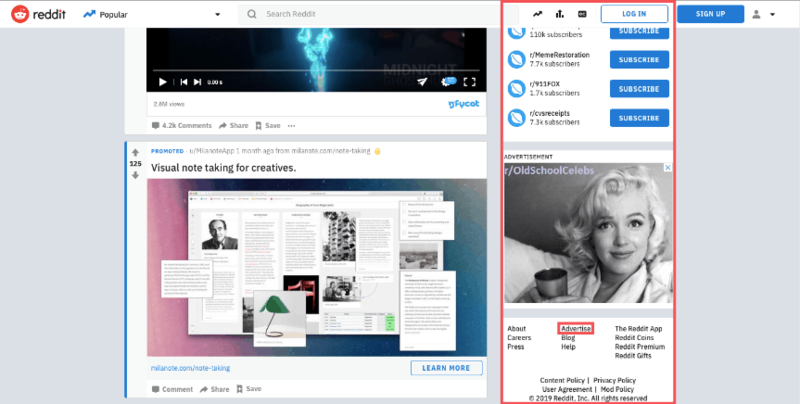 Just click on the “Advertise” line in the light column on the page (you’ll need to scroll down a bit). And start setting up your promotional campaign. Give it a name and choose the location you want to target – for example, the United States. Then, pick the subreddits you want your advertisement to come up. 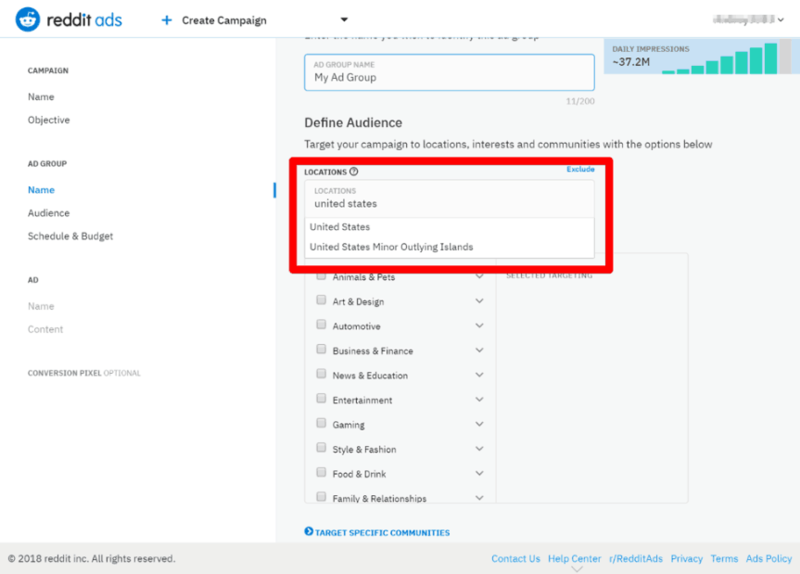 Don’t forget to specify the devices your promoted post should be visible on. It could be desktops, or mobile phones and tablets, or both of them. Usually people don’t go to links when using tablets or phones. So, it may be reasonable to choose only desktops. When you’ve done with this, it’s time to set your budget. 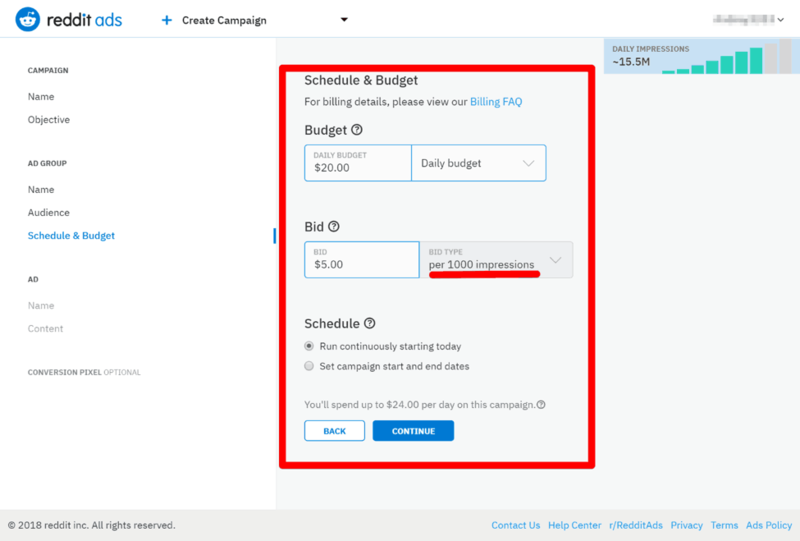 It’s important to mention that if you use Reddit paid advertisement you do not pay for clicks – you pay for impressions (for each 1000 impressions). It means that when Redditors have seen your ad 1000 times, you have to pay your bid. It doesn’t matter how many times they’ve clicked on your link. Considering this, giving money for your commercial doesn’t ensure its success. 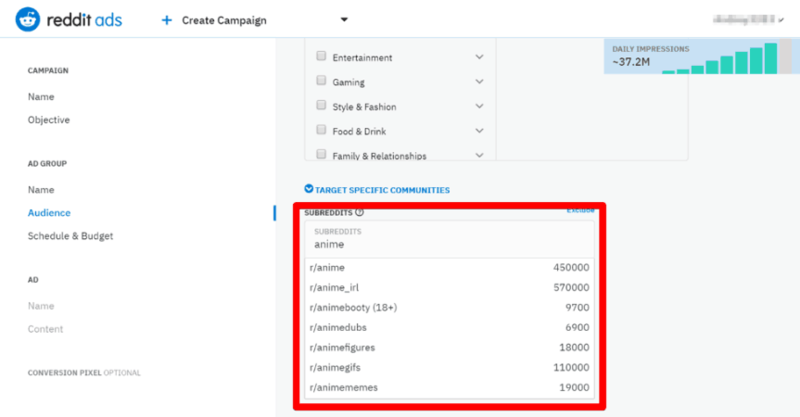 Even in this case, it’s extremely crucial to be a part of Reddit community and follow the rules we’ve listed while creating your ad. Only this way, you can make Redditors pay attention to you. Otherwise, you’ll just spend your money in vain. Advertising on Reddit is not as straightforward and fast process as promotions on Facebook, Instagram, etc. But, if you want to have the most dedicated clients for your online business, it’s definitely worth trying. 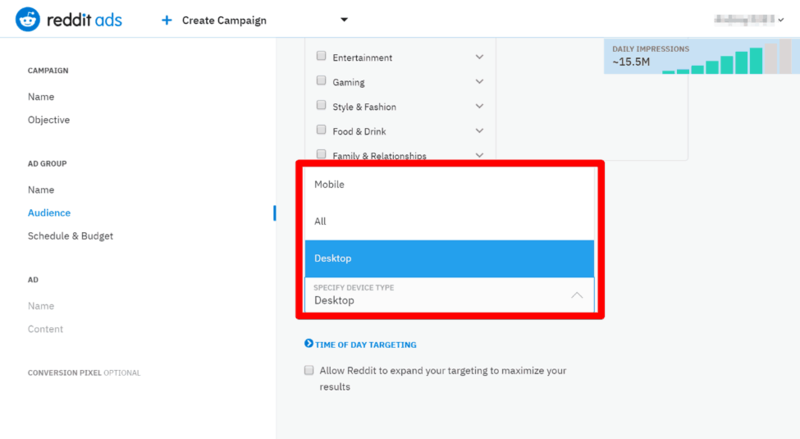 If you have more questions about Reddit promotion, please left them in the section below. We’re happy to answer.